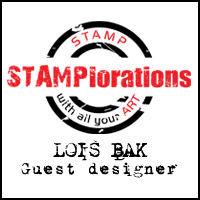 Today's Featured Stamper on Splitcoaststampers is Jacquie J, who has a wonderful gallery. 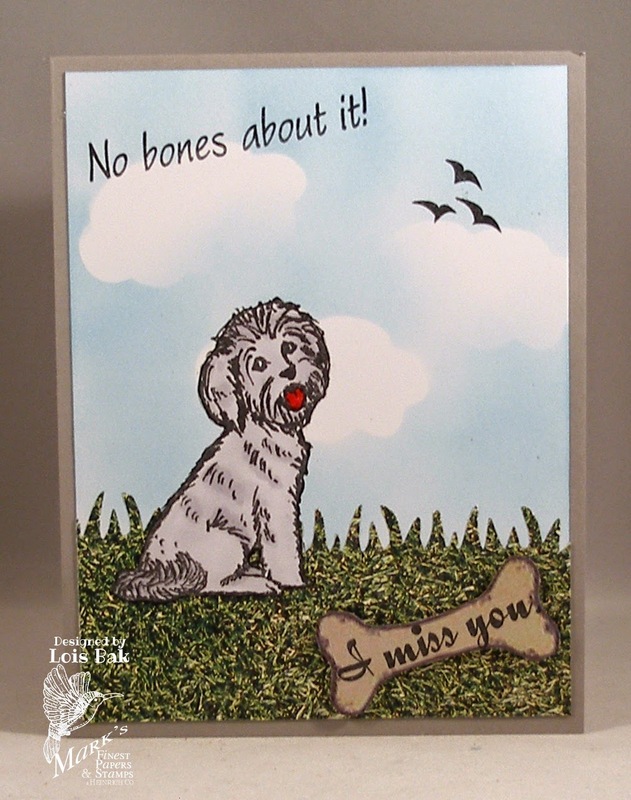 A technique she used on several of your cards was inlaid die cuts, and I chose one of them to CASE for my card. 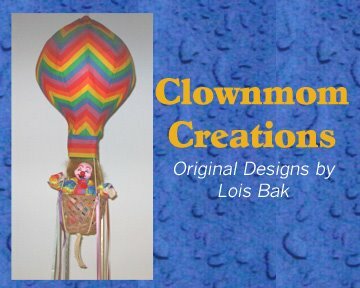 Here is a link to her card, and her is my version. I stenciled the burlap for my background with Ranger Tea Dye. I cut the "happy birthday" words from the contrasting colors and laid them aside. After I placed the dies on my stenciled piece and cut them out, I pulled the words from the dies but left the little spaces (in the a's, p's, d's, y's and the b) remain in the dies. I taped across the openings in the panel with Scotch tape and laid the words into the open spaces. Then I laid the dies (with the little spaces still in them) on top of the words and pushed them out with a paper piercer. They were exactly over the empty spaced and filled them up quite easily. 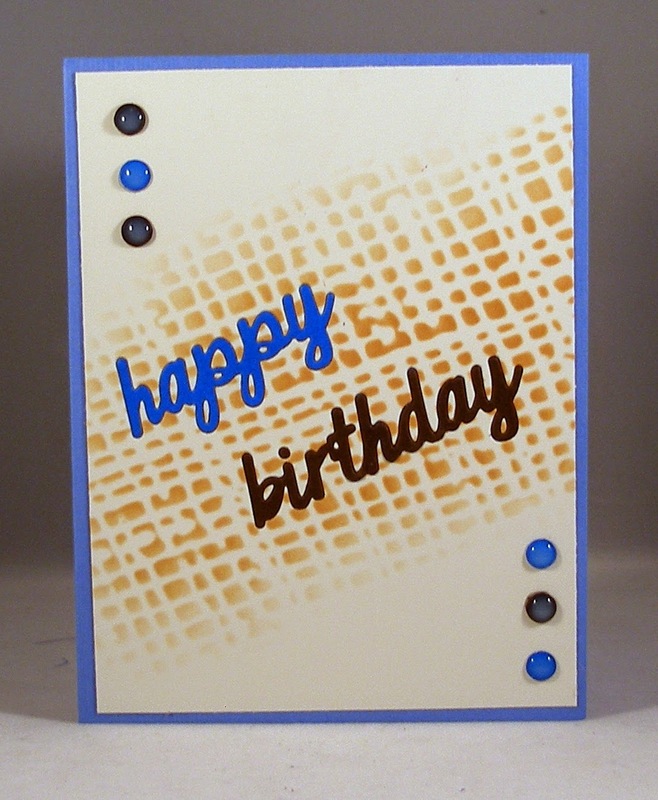 To make sure my brads would match the colors, I just punched out six circles with a hand-held punch, adhered the circles to the card, and put a little Glossy Accents over top. 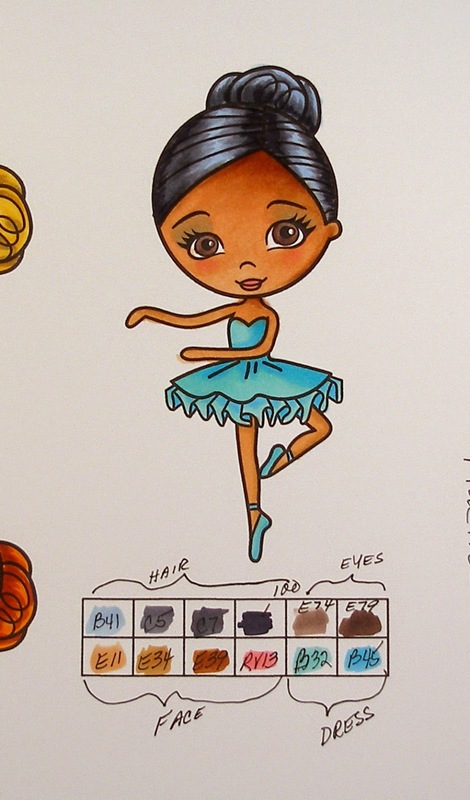 I also have another Copic-colored ballerina from Friday's Copic coloring class. I wanted to try to do a darker skin tone on this one. I found a color combination for black hair, which I really liked -- B41, C5, C7, and 100. I'm going to have to remember that one! 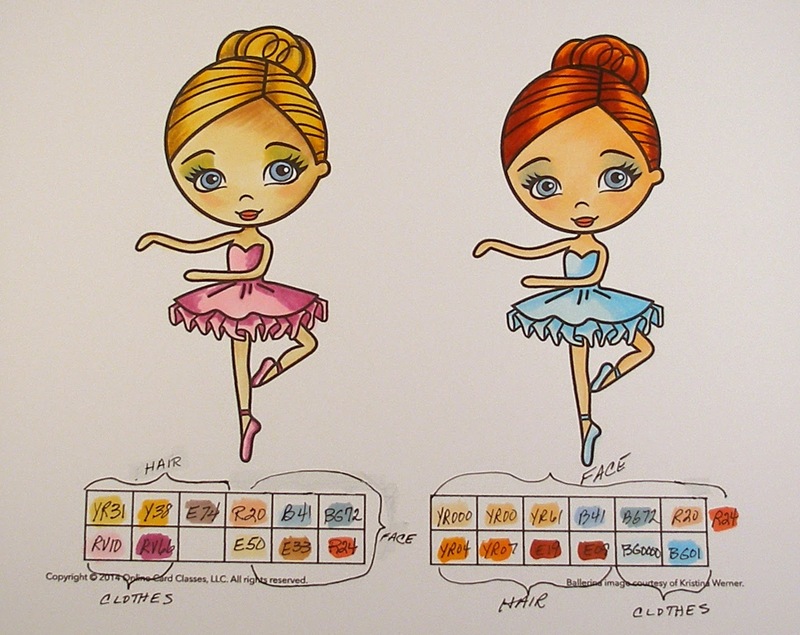 We had two practice sheets in yesterday's Copic class -- one of just face and hair, and the second one a sweet little ballerina to give us practice on coloring clothing also. This is my practice sheet for the ballerina. 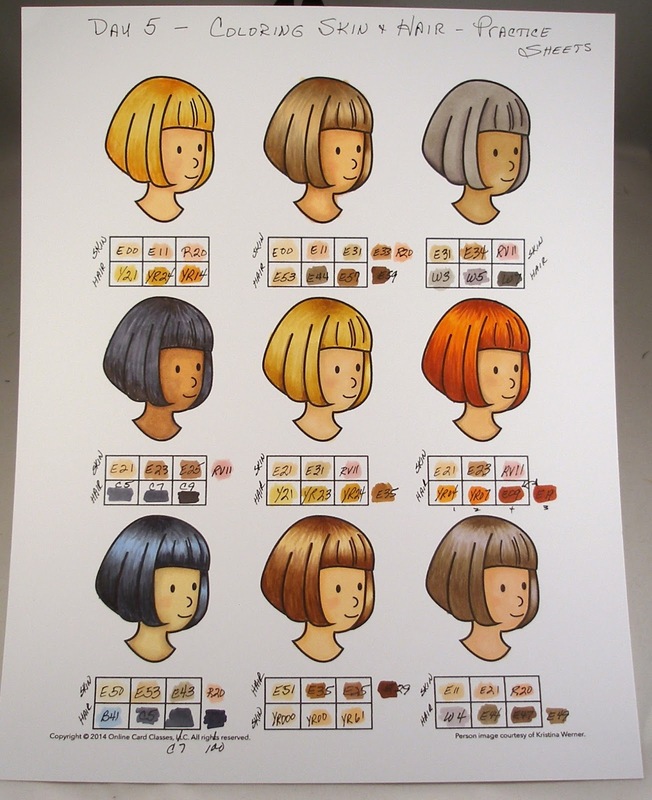 Today's Copic coloring class was one of the things I was definitely looking forward to -- coloring faces and hair. I've seen some awesome highlighting in hair that I just could not figure out. After watching today's videos, I have a better handle on creating those highlights. I still need lots of practice, but I'm happy with my beginnings. We had another sheet on which to practice -- this time including clothing. I'll get to that one tomorrow (we have the weekend off!). commenting is 10 PM EST on Friday, September 26, 2014. 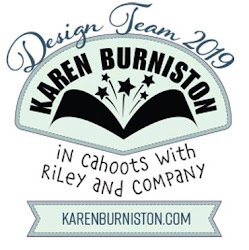 Again I'm not a part of the official Blog Hop, but I'm so glad you stopped by my blog today because this is my favorite project of the week. 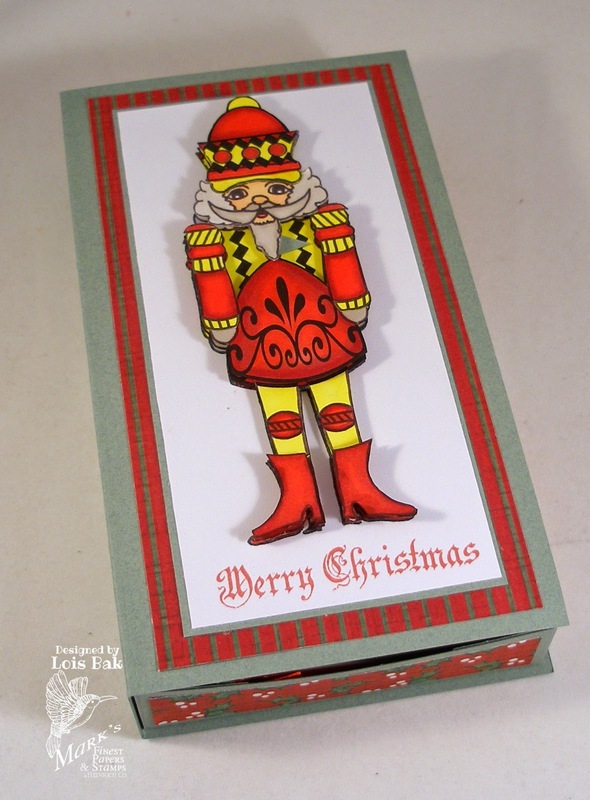 During the summer I attended a stamp show in Orlando and saw a card made with a nutcracker and was hoping that MFP Stamps would eventually have one too. 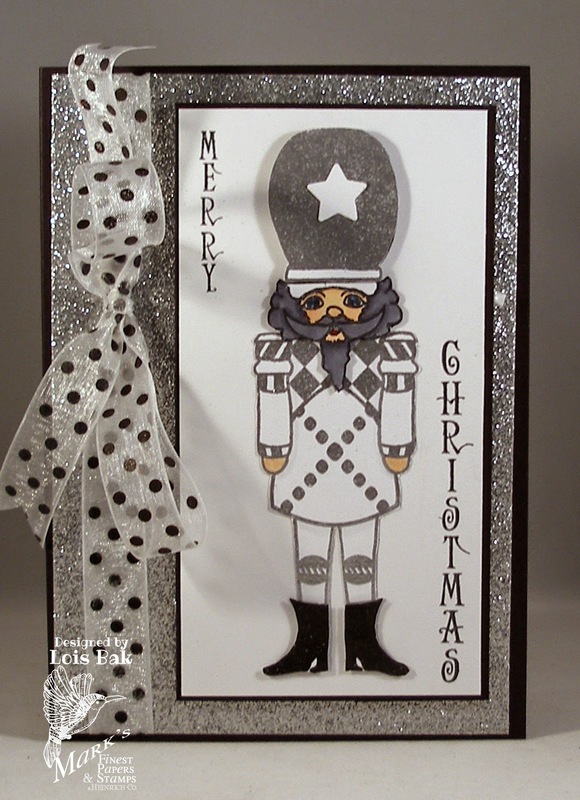 The nutcracker on the card that I saw was made using paper tole, and I loved the dimension. So, when I saw today's set, I was in Seventh Heaven! 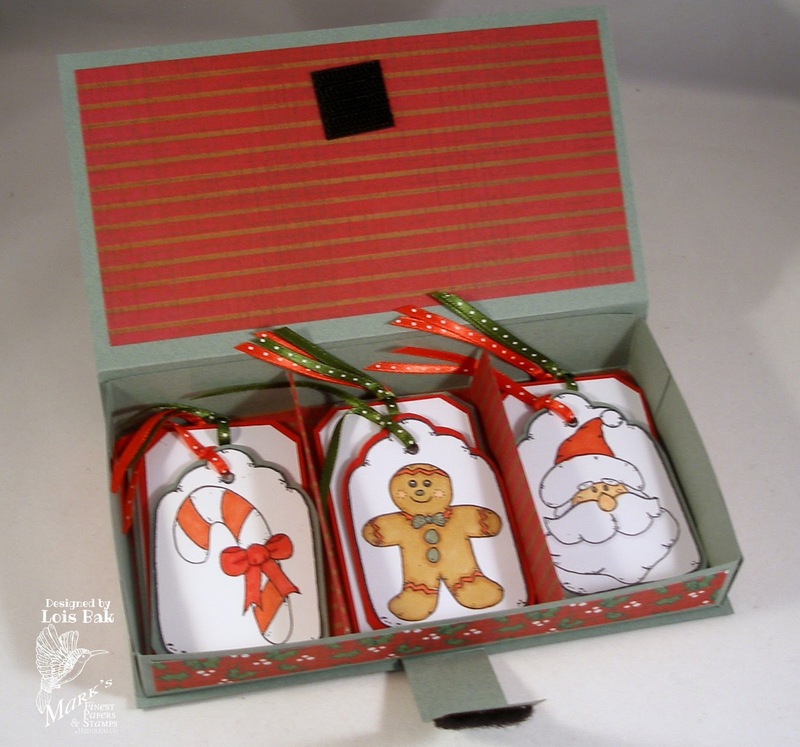 Here is my project, which is a Christmas tag box. When you open up the box, you can see that it contains some Christmas tags, which were made using another MFP set, Holiday Tag. 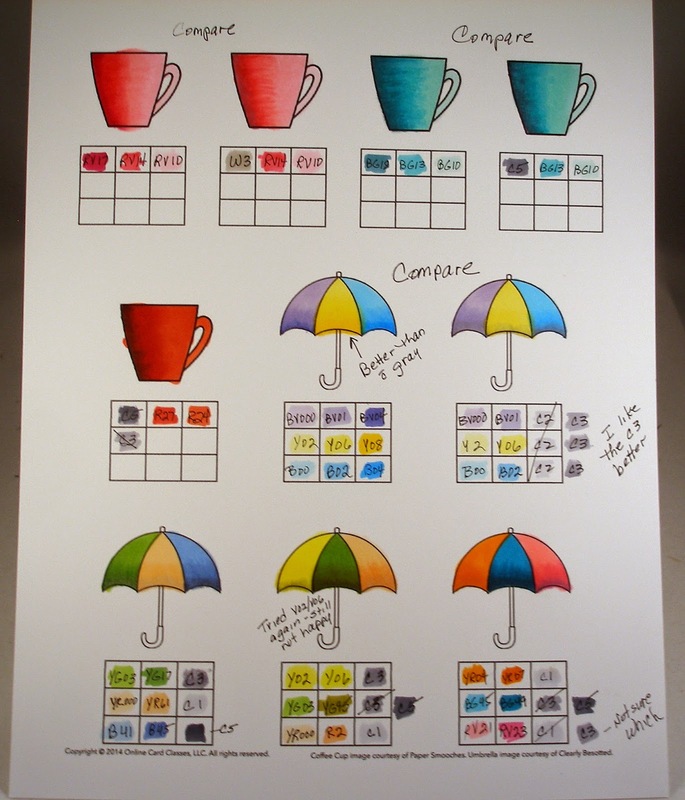 I am entering this project in Scor-Pal's More Than One Score challenge for September -- fun storage ideas. I found the directions for this tag box on one of the Technique Junkies Newsletter CDs, which I also purchased at that stamp show. When I was looking on the internet for nutcrackers to get some ideas of color combinations, I saw a set of very elegant ones. One of them was done in black, silver and white; and I decided to use that combination. Here's my version of that nutcracker. Today's set has several sentiments but nothing that would work with this particular design, so I used a stamp from another MFP set, Dear Santa. Both words are on one stamp, so I had to improvise a little bit. I stamped it twice, covering the unwanted word each time. 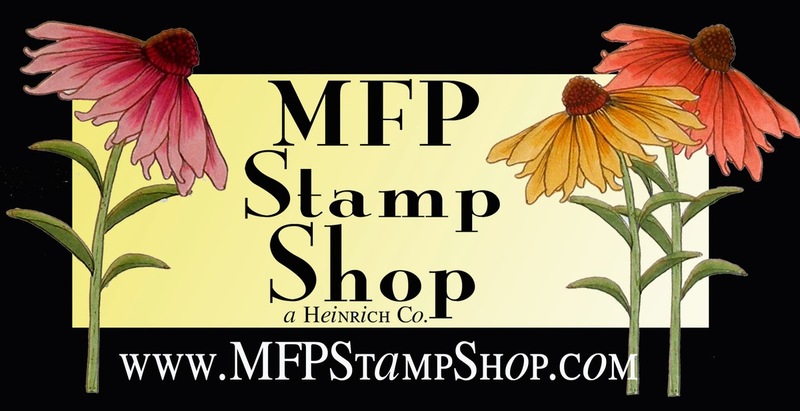 Be sure to check out the participating blogs for today and comment often for a chance to win a free stamp set. 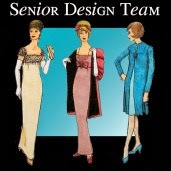 I hope you have found some inspiration from the projects made by the design team this week. We certainly had fun bringing them to you. Today in the online Copic class we got into directional and non-directional shading. I had never really used the directional shading technique and found that I really like the way the image looks. 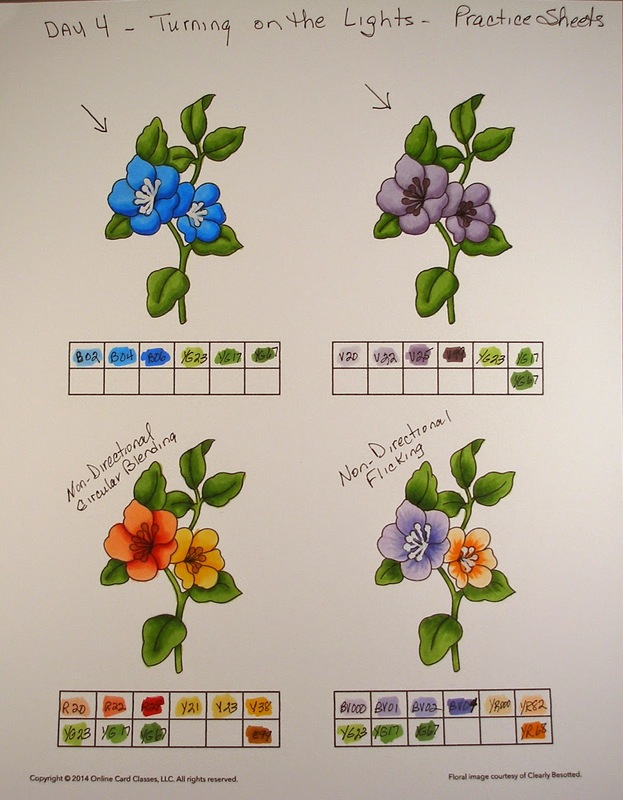 I'm going to have to practice some more because I was really impressed with the images colored by Sandy Allnock, who is a wonderful "colorer" !!! Here's my first practice sheet. 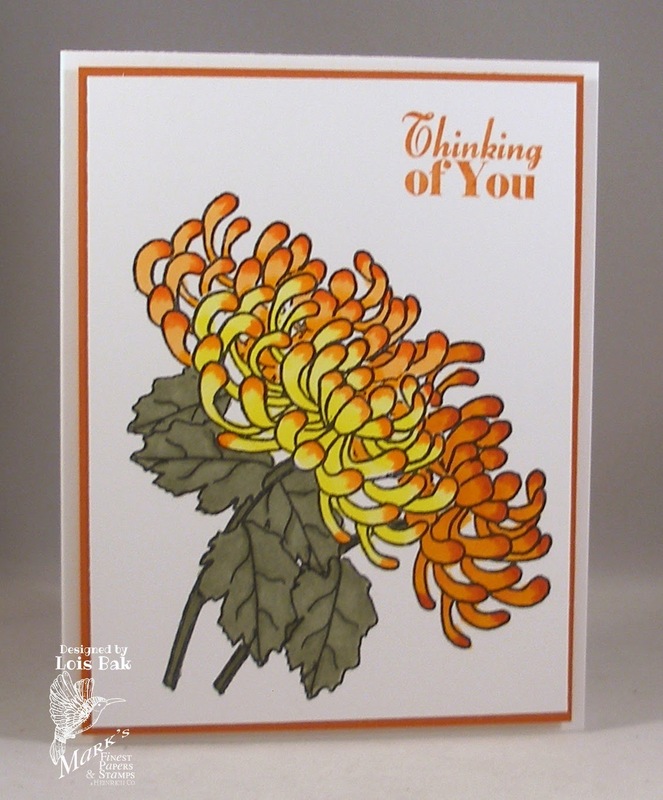 I'm not an official member of the Blog Hop today, but I do have a couple of projects using today's set, Chrysanthemum, to show you. The first is an altered Pepperidge Farms Creme-Filled Pirouette Rolled Wafers tin. I love those things, although my diabetes limits my intake considerably -- I can have two of them as a snack every now and again! I stamped the larger of the two flower images onto some white card stock, cut it out with a Circle Nestabilities die, and adhered it to a larger circle of Stampin' Up Really Rust. 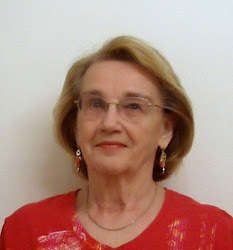 (I was sorry to see that color retired!) 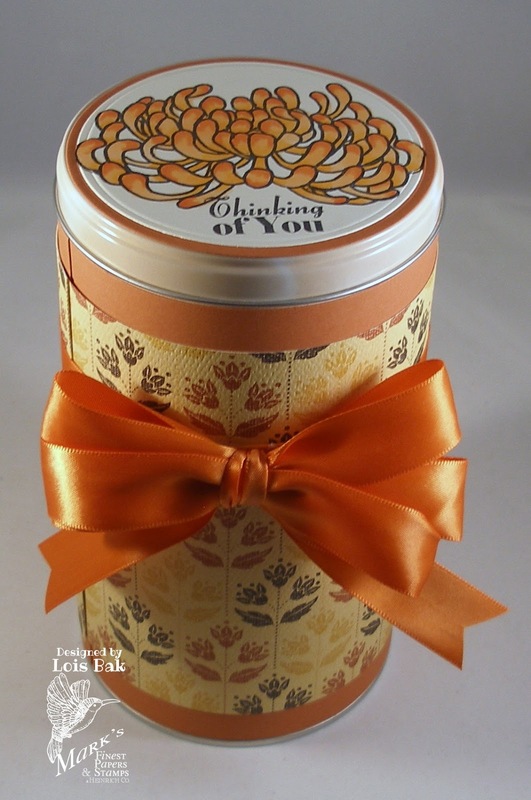 I covered the tin with some more Really Rust and some retired DSP to match and added the orange bow. 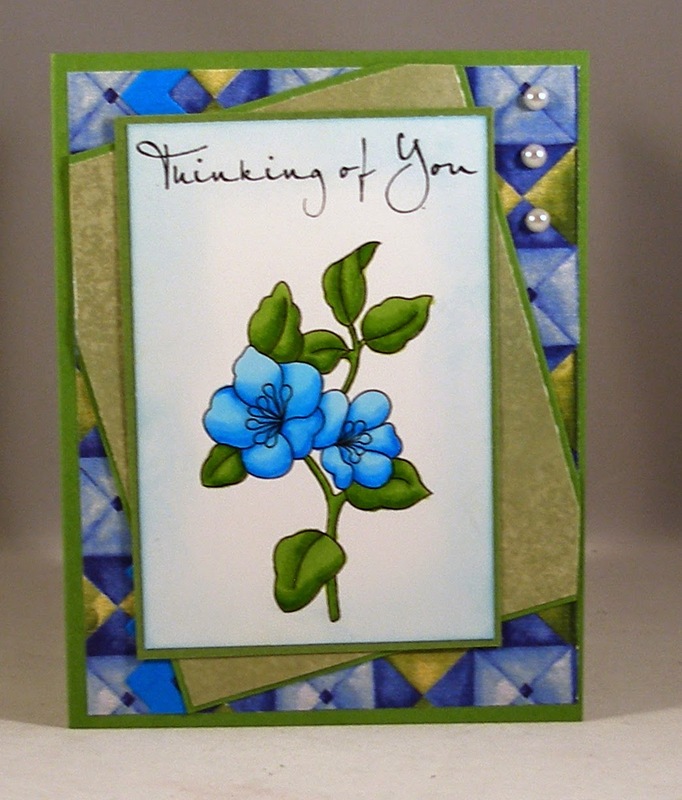 I also made a card -- using the smaller flower, stamped three times, masking as I went along. I don't know if you can see the three distinct flowers or not. One of them is yellow, one is orange, and the third is brown. 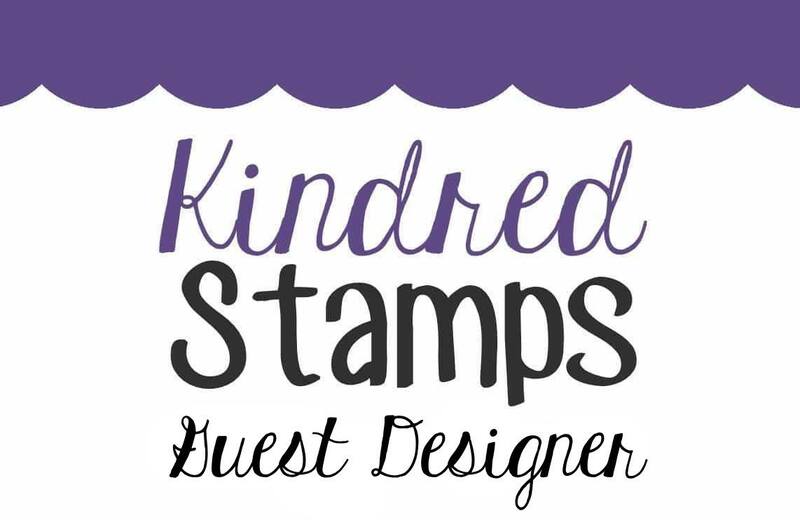 Be sure to check out the official Blog Hop and comment often for more chances to win a free stamp set. Do you like dogs? 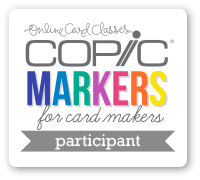 Even if you don't, but would like to play along with us, pop on over to the CCEE blog and see what the rest of the team has created for you. Our lesson today for the online Copic class was shading using gray markers. Very interesting -- I hadn't thought about that before. Here are my practice sheets. Some of these combinations worked better than others. 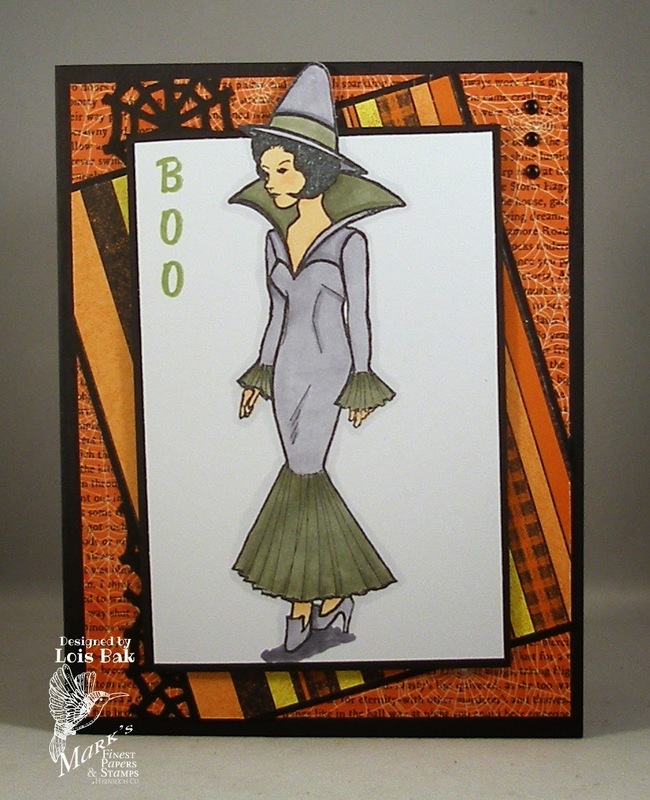 Today's set, Witchie, gives you the opportunity to make a classy Halloween card -- she's a rather glamorous witch (no warts on her nose!). There are several other images in this set as well as the witch. 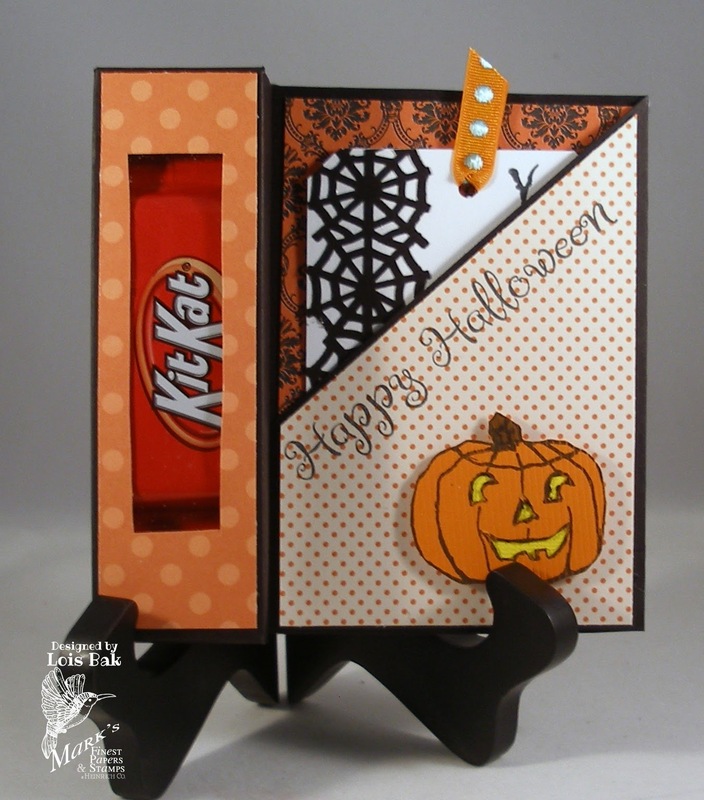 Here's a treat box card holding two miniature Kit Kat bars (mmmm!!!) made with a few of the other images. 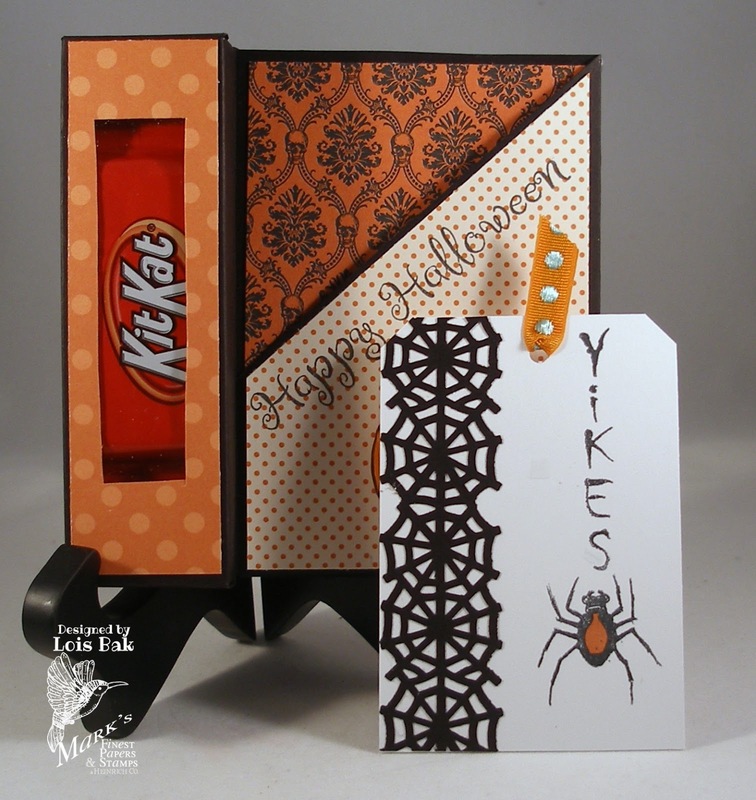 Be sure to check out the rest of the projects that our design team has made for you using this fun Halloween set. 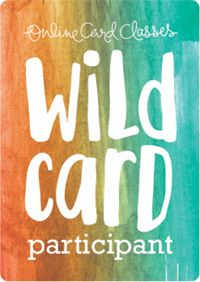 Comment often for a chance to win one of this month's stamp sets.